Michigan's Ultimate Year Round Steelhead, Trout and Salmon Flyfishing Experience! 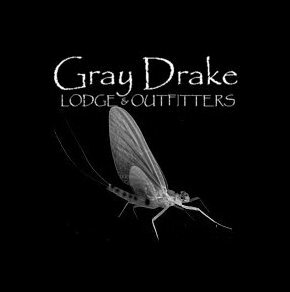 Gray Drake Lodge and Outfitters! MATT ALSO TRAVELS EXTENSIVELY, DOING LECTURES, SEMINARS AND PUBLIC SPEAKING! MATT'S NEW BLOG!! CLICK HERE FOR UP TO DATE HONEST AND ACCURATE FLY FISHING REPORTS, CONSERVATION ISSUES, TECHNIQUES, AND LOCAL FLY PATTERNS AND MORE! "The Ultimate Great Lakes Fly Fishing Experience"
Muskegon River Fly Fishing Services – Jet sled fly fishing $395.00 for one (1) or $450.00 for two (2) people. Trip includes outstanding stream side gourmet grilled dinner, rods, reels, leaders and any tackle and fly casting instruction needed by client. Custom flies provided. Boats have heaters in cold weather. Great Lakes Fly Fishing Trips – The Great Lakes is a salmon, steelhead and trout paradise. Guided trips for summer Skamania steelhead up to 20 lbs. on the St. Joseph and Big Manistee Rivers from June through September when the summer steelhead make their stream and lake pier debut. Also Lake Michigan surf & fly fishing for summer steelhead and coho. It's a phenomenal experience! Atlantic salmon and in the 8-20 lb. class on the St. Mary's River and northern glacial lakes. (July/August/October/November). $525.00 for two (2) anglers or $475.00 one (1) angler. All tackle, custom flies and grilled surf & turf dinner provided on these jet sled guide trips. Luxury Lodging - $80.00 per person – includes a full gourmet breakfast ( i.e. Eggs Benedict, blueberry pancakes.) There are single rooms, master rooms and a master suite which includes a king size bed and private bath. Your may reserve a specific room when making your reservation; otherwise all are available on a first come, first serve basis. Gourmet Dinners – (Tuscan style Italian cuisine) available at the lodge for a minimum of 4 people –advanced notice required. Copyright© 2018 by [GrayDrake.com™] all rights are strictly reserved. Thank You For Visiting The Gray Drake Lodge & Outfitters!